Goals… They’re everywhere. We all have them. Some goals take the forefront and we wake up thinking about them. Other goals are more like wishes and, from time to time, when an experience comes to remind us that we REALLY want that goal, we remember the idea and feel a deep (and fleeting) desire to accomplish it. Whether your goal is near or far, the reality of goal achievement is simple: you only get what you’re willing to give. In other words, going after anything in life is about putting your WHOLE self into its pursuit. That doesn’t mean you become OCD and go for the goal at all costs. It doesn’t mean you sacrifice the rest of your life and live only for that goal. Goal attainment is all about clarity, focus, and massive action. The more of those three you do, the closer to the goal you get. So, let’s say you have a goal, a dream, a deep desire and you want to get from A-Z on it PRONTO… or you have lots of goals but none of them materialize because you never invest enough of yourself for long enough to achieve it. 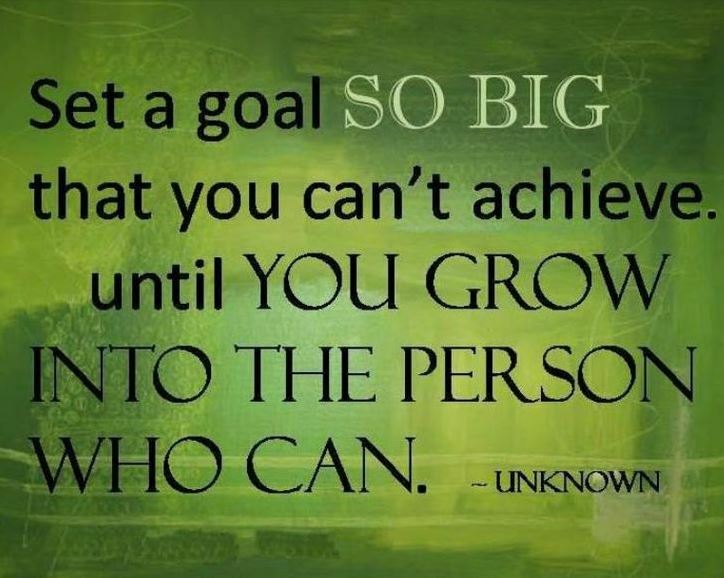 How do you go from goal setting to goal attainment? Most people set a goal and then ask that dreaded question, “How am I going to achieve that?” WRONG question. In coaching, if you ask the right questions, you get the right answers. If you ask the wrong questions, you go down a path that’s ineffective, unproductive, and uninspiring. Any time you find yourself asking “But how?” or “How am I going to do that?” or “How am I going to overcome ‘this’ obstacle to get over there?”, STOP IT… The ‘hows’ never get answered before you actually do the work. Even when you think you have the ‘hows’ answered in the form of detailed plans, the plans change, you throw them out the window and you get to the goal in a totally different way than you expected. The ‘how’ is completely irrelevant, especially if you use the landmine question of ‘How’ to keep yourself from pursuing the goal. What skills do I have that can make this thing happen? What are my next three steps? What are my next three steps after that? What phone calls do I need to make? What people do I need to connect with? What will keep me motivated when I get discouraged? What will keep me inspired when I’m doing the work and it’s feeling like work? What will I say to myself to make myself take action when I’m not in the mood? What will I do to celebrate each milestone along the way? What will I do when this goal happens? What will I do the day after this goal happens? I could go on but you get my drift. The ‘what’ is about action. It’s about getting beyond the decision of ‘Should I REALLY do this?’ When you’re focused on the ‘what’, it’s very clear that you’ve already made an unequivocal decision to go for the goal. The ‘what’ is simply facilitating the daily actions you need to take to get to the finish line. With the what, getting to the finish line is never in question. A ‘what’ mentality builds its foundation on the fact that whatever goal you’ve set, you will achieve. That’s it. No doubts. No second-guessing. No worrying. There isn’t time for worry in the ‘what’ because by the time you’ve answered some of those questions, you have a To-Do list a mile long. Remember January 1st, 2014? All the hopes, inspirations, dreams, and, ugh, resolutions? Where did they go? How much have you accomplished? Better yet, how much have you NOT accomplished? John Maxwell said it best when he stated that most people are exceptional at goal setting but mediocre at goal management. Goal management is the name of the game. Having a goal is cute. 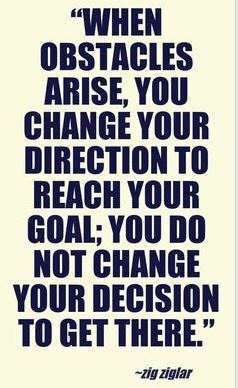 Achieving a goal is FIERCE! 1) At the beginning of 2014, what did I want to achieve? 2) How has that changed? 3) What do I want to achieve by the end of the next 6 months? Here’s the reality of goal management: As you change, so will your goals. The problem is that most people fail to take inventory over time and eventually wind up at a point (usually at the 6 or 12 month mark) where they realize that what they started the year wanting is not what they want right now… and then they get scared to change the goals in fear of being wishy-washy or non-committal. Better to be non-committal to something you don’t want so you can clear the space to be open and focused on what you really DO want. 1) By December 31, 2014, when I look back on my year, what do I want to be able to say I accomplished? 2) What specific goals and timelines am I committing to from this moment forward? 3) Where, in my schedule, is time allocated to accomplish these goals? 4) What are my next THREE steps? (Don’t worry about the whole plan. Take care of the 3 next steps and then ask the question again. Remember: WHOLE MIND in present action). 5) Who will be my accountability partners? 6) How often will I check in on these goals and make changes when needed? Are these check-ins scheduled ON my calendar? Follow through on these 9 questions and you’ll find that the next 6 months will be WAY better than the last 6. Go for what you want!